Destiny 2: Forsaken may house a raid in the Dreaming City, but solo players can explore the surrounding region to their heart’s content. Destiny 2 did a great job of making its story campaign engaging, but the endgame content still tends to suffer. For example, if you don’t like working with six-player teams, epic raids like Leviathan won’t really interest you. How does Bungie use that content in a way solo players can still enjoy, without diluting the raid experience? Forsaken’s Dreaming City raid will be an interesting experiment on this front. 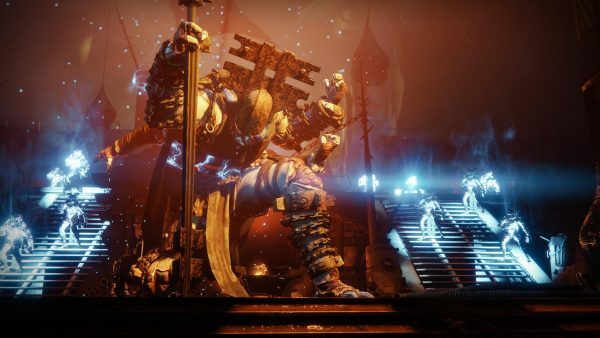 According to an interview with GamesRadar, Bungie wants the area surrounding the raid to still be accessible to all players. As mentioned in previous Forsaken reveals, the Dreaming City is being less of a raid than it is an endgame hub. While six-player strike teams can still take on the main event, the destination offers content solo and three-player teams can enjoy as well. If successful, this could be a great way to get casual players interested in Destiny 2’s endgame content. We’ll find out when Forsaken launches on September 4, 2018.